How can traditional intellectual property protection institutions such as patents continue to function in a world where new technologies are developed and go out-of-date in the space of a few months, if patents can take five years to obtain? If a robot creates a work of art or a piece of music, who owns the IP to it? Who owns the rights to big data? 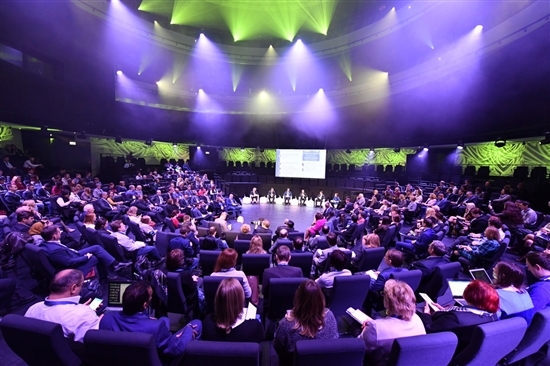 These questions and many more were up for discussion at Skolkovo on Thursday by experts from all over the world who gathered for a two-day conference devoted to intellectual property in the new technological order. The conference was attended by delegates from countries including Jamaica, Australia, the U.K., Singapore, Uganda, Israel and Chile. Photo: Sk.ru. The need to develop systems that can keep up with the breakneck speed with which the world is changing was addressed by Deputy Prime Minister Arkady Dvorkovich, who opened the conference’s plenary session, devoted to the influence of new technologies and digitalization on the institution of IP. “In the last 10 years, a brand new sector of many small and medium-sized innovative businesses has appeared whose activities depend on intellectual property, so demand has appeared for an effective system of IP protection,” said the deputy prime minister, referring to the situation in Russia. 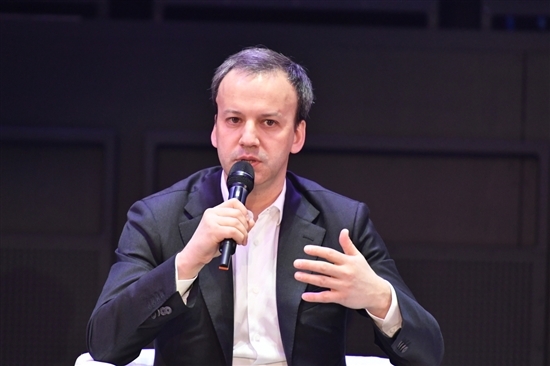 “The pharma sector is developing, in which IP is the fundamental basis for further development, though even in those sectors, due to the speed with which the situation is changing, the institution [of IP] is changing,” said Dvorkovich. 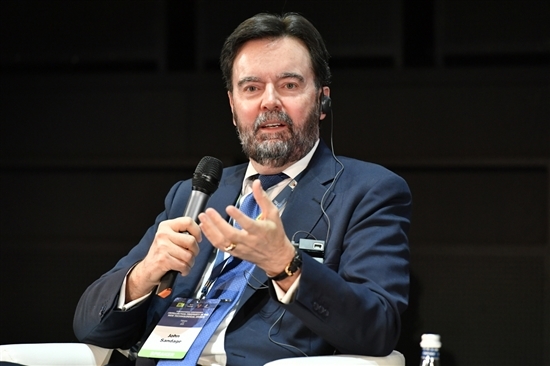 The world is still searching for the answers to many of the questions currently surrounding IP, he acknowledged, adding that in Russia, the Skolkovo Foundation is the leader in the field of developing regulatory and legislative aspects of IP control. Increasing use of technologies like blockchain and big data means that concepts such as IP and monopoly rights are simply not going to be as relevant in the future, said John Flood, a professor of law and society at Griffith University in Queensland, Australia. “We’re on the cusp of huge change here,” he told the conference. “We’ve had references to big data, and also to the use of blockchain. I think the combination of those two is going to alter the system so radically that in some ways, the concepts [of IP] that we’re using now are going to be pretty meaningless. What we’re moving towards is an open-sourced, decentralized world,” said Flood. Amir Khoury, a senior lecturer at the faculty of law at Israel’s Tel Aviv University, agreed that technological developments such as driverless cars, artificial intelligence and 4D printing (in which 3D-printed objects can change their own shape) are changing the world irreversibly. John Flood, a professor of law and society at Griffith University in Queensland, Australia. Photo: Sk.ru. John Sandage, deputy director general of the World Intellectual Property Organization (WIPO) in Geneva, acknowledged that the IP protection system lags behind technology innovation, but said tech itself may be able to change that. “The patenting system is now about 140 years old … and it takes three-five years to make a decision on whether a patent will be granted. So yes, in a sense the patent system is being overwhelmed by the pace of technology and innovation and development, but that same technology, innovation and development may provide a way for the patent system to survive,” said Sandage. “For example, now when you file a patent application, a person in Moscow, for example, has to look at a database of 40 million documents to try to figure out whether the idea is new. As we have computers that are capable of analysing big data, there is already beginning to be some discussion: will the patent examiner be replaced by a machine that can examine in nanoseconds 40 million applications and come to some fairly direct conclusions about whether the idea is sufficiently new that it justifies the granting of a patent? Some of these challenges may actually turn out to be opportunities,” he concluded. And despite the expenses and long wait involved in patenting innovations, the number of companies all over the world applying to secure the IP to their inventions grows with every year, said Grigory Ivliev, head of Rospatent, Russia’s intellectual property government agency. John Sandage, deputy director general of the World Intellectual Property Organization (WIPO). Photo: Sk.ru. Most patent applications submitted to WIPO now come from Asia, said Sandage. “China, Japan and Korea account for about 60 percent of all world patent applications between them. The most telling example is the story of China: in 2016, China filed 45 percent more patent applications with WIPO than it did the year before. That’s a phenomenal figure,” said WIPO’s deputy director general. Yet the time and costs involved mean that securing IP protection is considerably more difficult for small and medium-sized companies, said Igor Drozdov, chairman of the board of the Skolkovo Foundation. 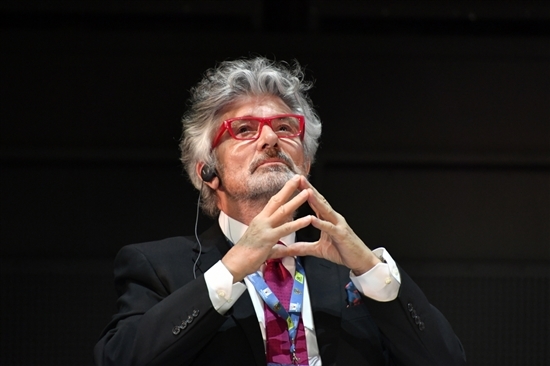 “The more I look at the institution of intellectual property and observe the practical aspects of the work of our companies [at the Skolkovo innovation city], it seems to me that to a large extent, the institution of intellectual property is aimed at large companies, because it’s not just about getting the rights, or a monopoly. To implement your development, you have to defend these rights,” said Drozdov. Igor Drozdov, chairman of the board of the Skolkovo Foundation. Photo: Sk.ru. Bigger companies have more resources to do so, he said, noting that major companies often spend more on defending their IP rights than they do on the invention itself. 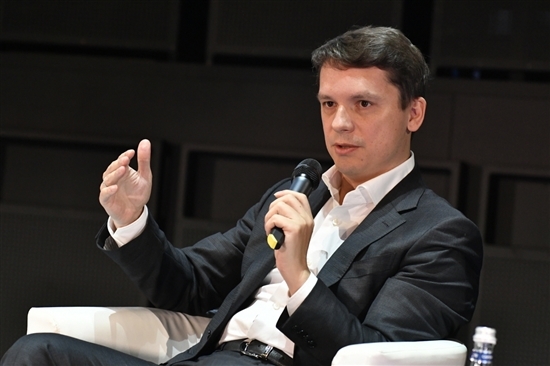 “Skolkovo practice has shown that the main motivation for startups to protect their IP is their desire to attract a major investor, because doing so is impossible for a company whose technology is not protected, so we support them … Skolkovo is a leader in Russia in the field of international patenting, because our companies are focused on finding international investors,” said Drozdov. WIPO’s Moscow office – the only representative branch of the UN agency located in Europe – operates out of the Skolkovo innovation centre, which also has its own Intellectual Property Centre that specialises in providing patenting and legal services for innovative startups. Skolkovo startups have obtained more than 1,200 patents since the foundation was established in 2010.